Best PlayStation Emulator Android, Windows, Mac & Linux. Nowadays developers are taking the Gaming experience to the next level by implementing Virtual Reality. But playing old classic Games is always fun, that’s why many companies started modifying old classic gaming console. Apart from Nintendo’s DS console, there was one more good gaming console in 1994 – known as PlayStation (PSX or PS1). The first PlayStation was developed by Sony, And the latest version of PlayStation is PS4. If you ever played those old PlayStation Games as a kid, and want to play them again then you can easily do it with PlayStation Emulator Android. What is PlayStation Emulator Android?. Smartphones are getting smarter every day, and it is easily possible to play any type of Retro Games. And to Play PlayStation (PS1 or PSX) Games there is many PSX Emulator Android Available. If you don’t what PlayStation Emulator is – PlayStation Emulator enables Computer System or Android to behave like PlayStation. So you can easily run PlayStation ROM on your Android device. In Simple Words, it is a software that allows to Install PlayStation Games within the Emulator. Means if you try to install PlayStation Games directly on your Android device it will not work, You need Emulator for it. 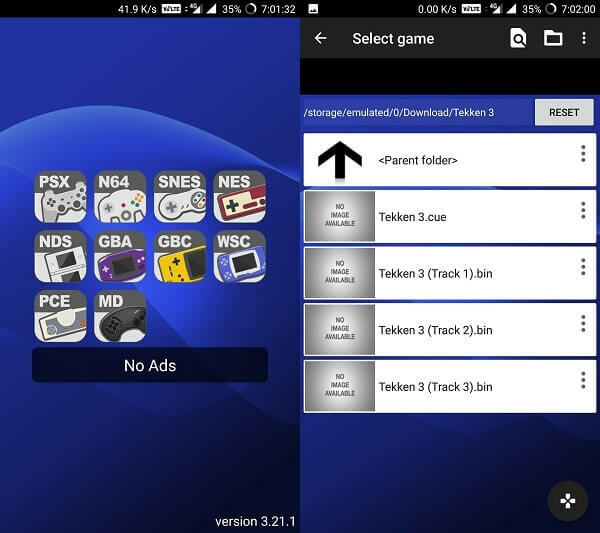 And there are tons of PlayStation Emulator for Android available on Google Play Store. 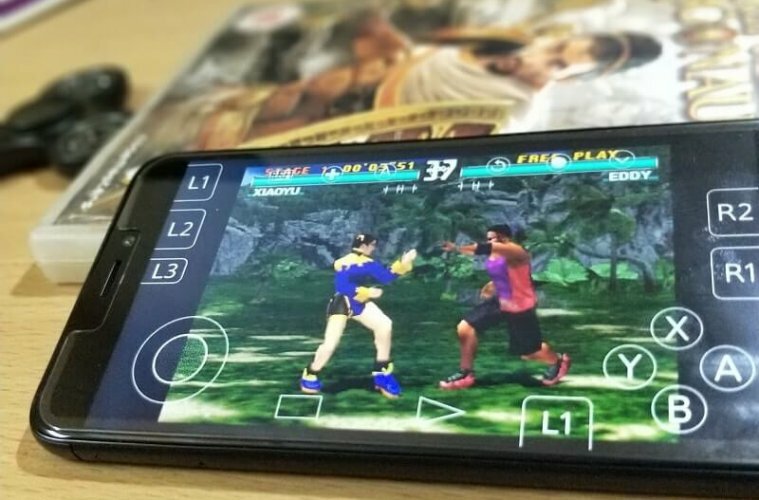 And only a few of them works correctly, So if you are searching for the right Emulator check out this list of Best PlayStation Emulator Android. 1 Best PlayStation Emulator Android. 1.2 Matsu PSX Emulator – Multi Emu. 1.6 Conclusion – PlayStation Emulator Android. Note: None of these Emulator comes with Pre-loaded Game Files. So before downloading any Emulator make sure you have your favorite game file on a smartphone to Play. Also, you need a Good Android device (Means good specs) to run PlayStation Emulator. Personally am using OnePlus 5 that comes with Snapdragon 835 processor. It is the one of Best Emulator that allows playing retro games on your Android devices. RetroArch is available for almost all major platform and you can run it online using Firefox/Chrome web browser. RetroArch is not only designed to play PlayStation Games, It’s allows emulating many other consoles. Like SNES, GBA, 3DS, NDS, Minecraft, PSP, Uzebox, Vectrex. So if you need an emulator that can emulate all classic gaming console then, RetroArch is for you. It also comes with many advanced options Netplay, Network, Playlists, Driver and many others. 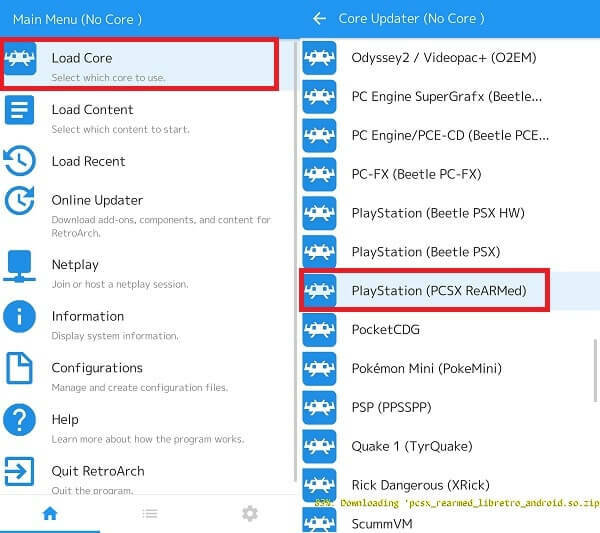 To Play PlayStation Games with RetroArch, you need to first Load Core. If you don’t know how to do it then you can follow these instructions. How to Play PlayStation Games using RetroArch. Note: It doesn’t matter which device you’re using to run RetroArch steps will remain same for all devices. Because RetroArch comes with the same interface for all supported devices. Step: 1 First, Download and Install RetroArch from Google play and then open it. After opening the App tap on Load Core> Download Core, now wait for a min to load index of all Emulator. Step: 2 From the list of classic console Emulator, scroll down and tap two times on PlayStation (PCSX ReARMed). 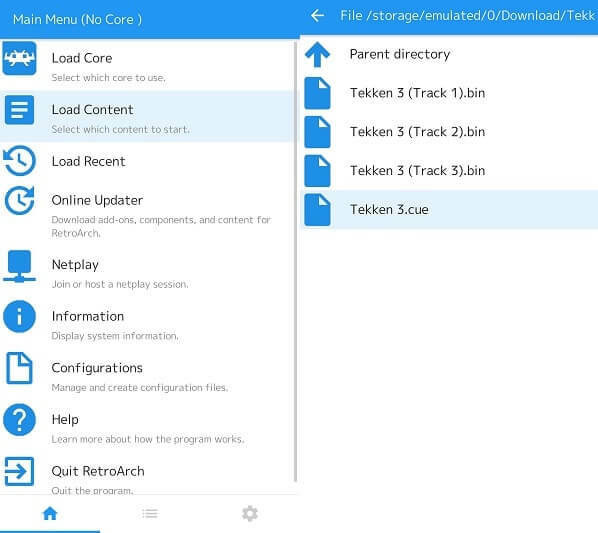 Wait for a while and emulator (Core) will get loaded in load core section. Step: 3 Go back to the home screen of the RetroArch and then tap on Load Content to access game file and play. If the file is in Zip Format then first extract it using ES File Explorer. Or if you’re using PC then you can use 7Zip or WinRAR software. From Load content option go to the game file folder and then choose .cue extension file. And within few seconds game will start running. To Play game on full screen make sure portrait option is enabled. Matsu PSX Emulator – Multi Emu. After RetroArch, It is the best Multi Emulator that allows playing multiple console games. Apart from PSX Games, you can play N64, SNES, NDS, GBA, GBC, WSC, PCE and MD console Games. Like RetroArch you don’t need to load core to play any emulator Games. All you need to do is simply choose emulator and then select Game File to Play. The best thing about this Emulator is it comes without any ads. So you don’t need to worry about those annoying ads. Also while playing the game you can save state and can load anytime from the same state. You can set screen size, add cheats, take a screenshot using quick menu. Also, it allows mapping controller settings, which is quite a useful option. 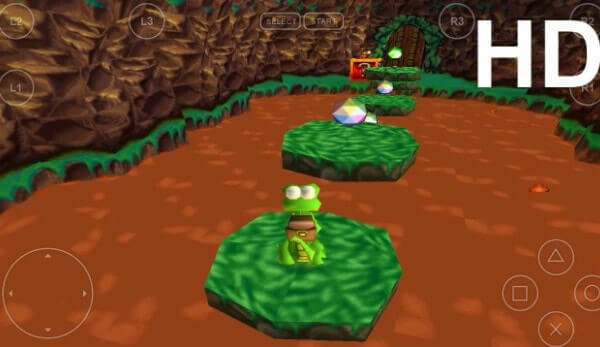 Overall it is the Best PSX / PS1 Emulator Android to Play classic games. Get Matsu PSX Emulator – Multi Emu. 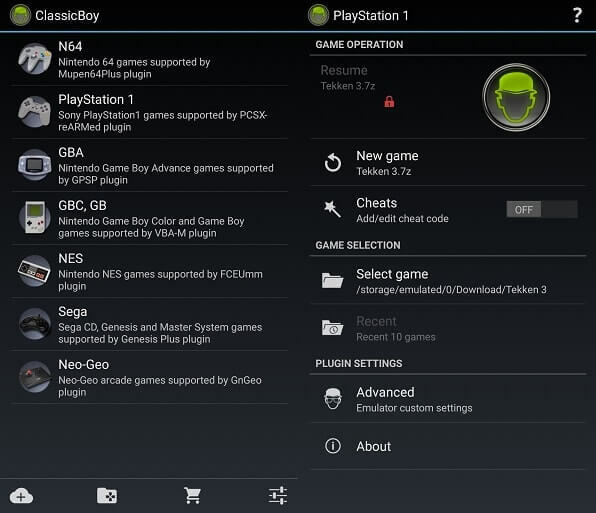 ClassicBoy is a powerful PS1 Emulator Android that allows playing PlayStation 1 Games smoothly. Currently, it supports PS1, N64, GBA, GBC, Sega, SNK and SNES Games. Also, you can add more emulator by going into plugin section. For action games, it comes with gesture mapping option. With gesture controller mode you can set left side screen for movements and right for action. But to use gesture option you need to pay for it (In-App Purchase). But free version supports many useful features like external joystick mapping, save and load game state. And maximum 4 players can be connected to an external joystick but you need the USB OTG compatible device for it. You can easily check USB OTG support by using easy OTG checker App. The emulator also comes with some advanced options like Audio Reverb, Custom settings for game screen size and filter. Overall it is the best PlayStation Emulator Android, which comes with external GamePad support. If you’re looking for a premium PS Emulator with some cool options then you can spend money on FPse. It is able to display all PS1 classic games in high resolution using OpenGL. It comes with auto scan feature that scans all PS1 Games available on your device and shows the cover of the game. You can run it on lower specification devices and the emulator will work correctly without any issues. It comes with gun emulation (Guncon) for shooting games, with one finger you can shoot. Also compatible with G-Sensor and the touchscreen buttons. It supports any type of file extension like .img, .iso, .bin, .cue and others. So you don’t need to extract the file to play your old classic games. Comes with full native support for Xbox 360, PS3 and PS4 GamePad controller. LAN mode also available to plat same game from multiple devices. There is much more thing that you can do with this emulator. Overall it is the best PlayStation Emulator Android that completely dedicated to PS console. 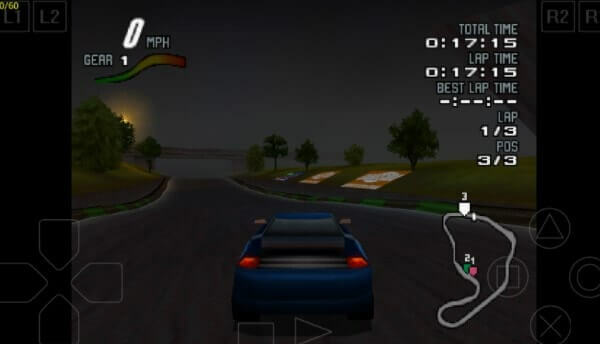 ePSXe for Android is the ported version of famous ePSXe PlayStation Emulator for PC. Like FPse it is also paid but provide impressive features. It comes with high comparability with Android, Good game sound, Good speed and accurate sound. Comes with 2 player option, means two players can play in split screen mode. ePSXe allows to map hardware button and also comes with virtual touchscreen pad. Like FPse it also supports OpenGL to enhanced HD graphics. Also, you can save cheat codes and save game state at any point. The latest version of ePSXe comes with native support for ARM and Intel x86. Overall it is the best PS1 / PSX Emulator for Android and better alternative to FPse Emulator. Conclusion – PlayStation Emulator Android. So these are the Emulator Apps for PlayStation X / 1 that allows playing old PS Games. Still, there are many emulators available on Google Play that claims to play PS Games. But unfortunately, when you hit the play button those emulators stopped working. But these five emulator stands out and able to play any PlayStation X Games. Still, you’re confused which one to try first then my suggestion go to Matsu. But if you want to play more retro games then you can try RetroArch App. That’s all folks for now If you know any other Emulator feel free to comment. Previous ArticleBest Nintendo DS Emulator Android and for all other Devices. Next ArticleGet OnePlus 5T Face Unlock on Android – Face recognition Android. How to stop Apps from using Data – Data blocker App. 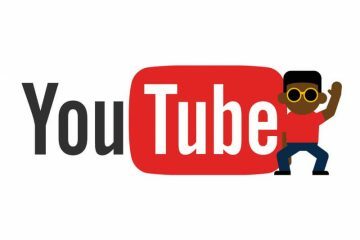 11 Best YouTube Alternatives to Watch & Share Videos. 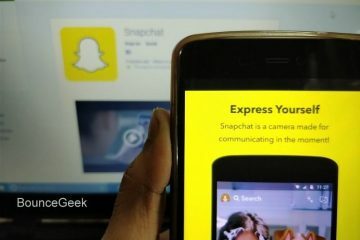 7 Best Apps like Snapchat – Snapchat Alternatives. 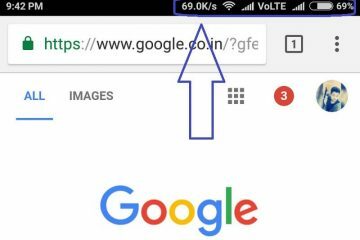 How to get network speed indicator For Android, iOS & Windows. 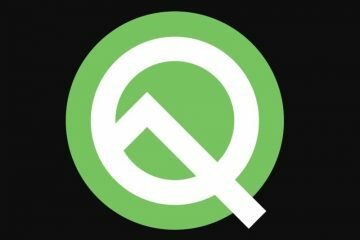 Install Android Q on PC and Google Pixel Devices. 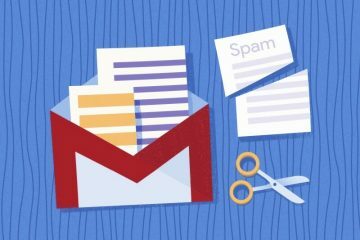 10 Best Gmail Alternatives that you can use For Personal & Business.